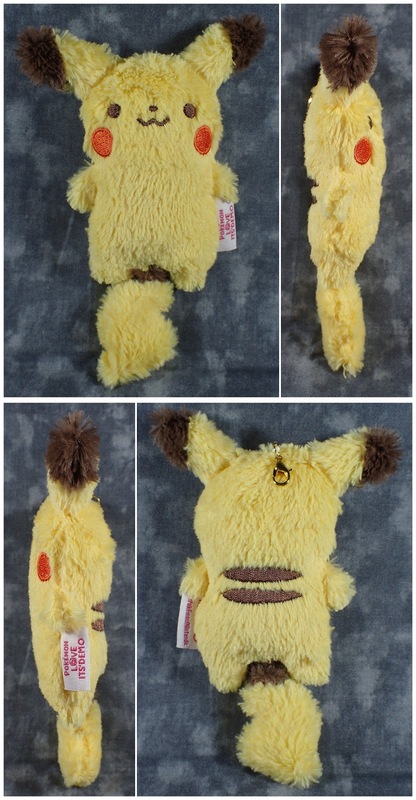 I think I may have a Pikachu addiction - but how can I resist they are simply too cute! So I picked up these two cuties from It's Demo which is a Japanese brand which collabs with other companies in order to make unique goods. 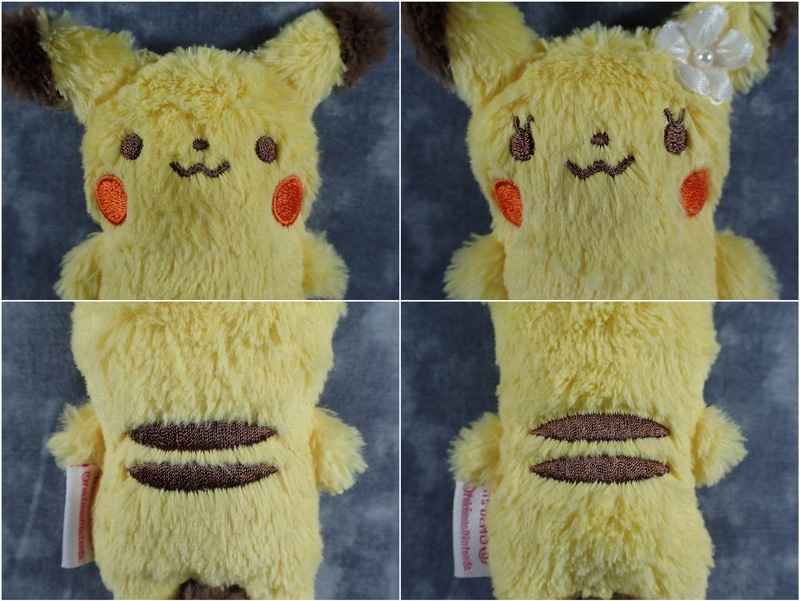 These Pikachu captured my eye not only because of how fluffy they are but also because of their simplistic design. Once again very high quality stitch work and they are super soft. 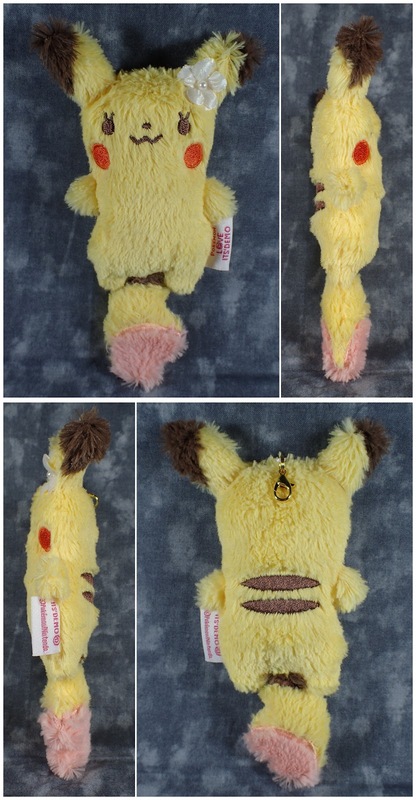 And I like how they have tried to make a point of the female Pikachu's tail having a kind of heart shape dent by making the end of her tail pink. 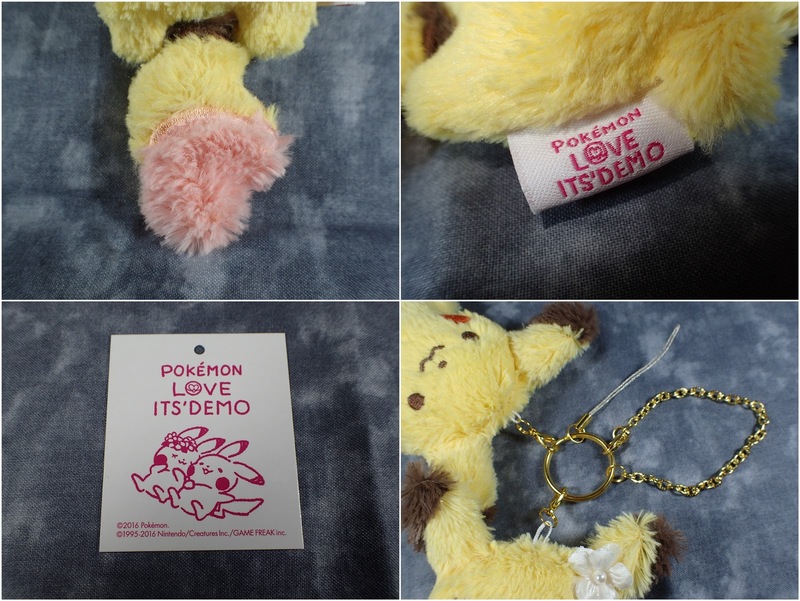 I was also pleasantly surprised by the quality of the key-chain part as I've had the Pikachu on my work bag since I got them and the gold has not worn off yet! I highly recommend these, however they were part of a limited series so it might be hard to find them now.